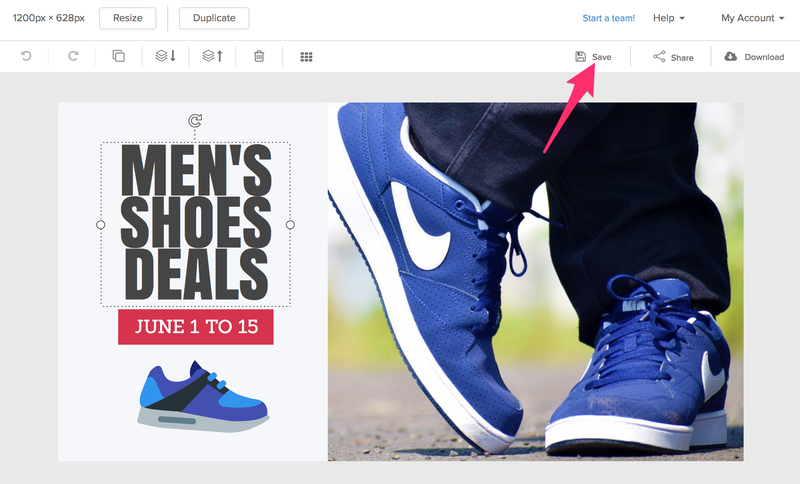 Within the graphic editor, click the "Save" button on the right side of the toolbar. 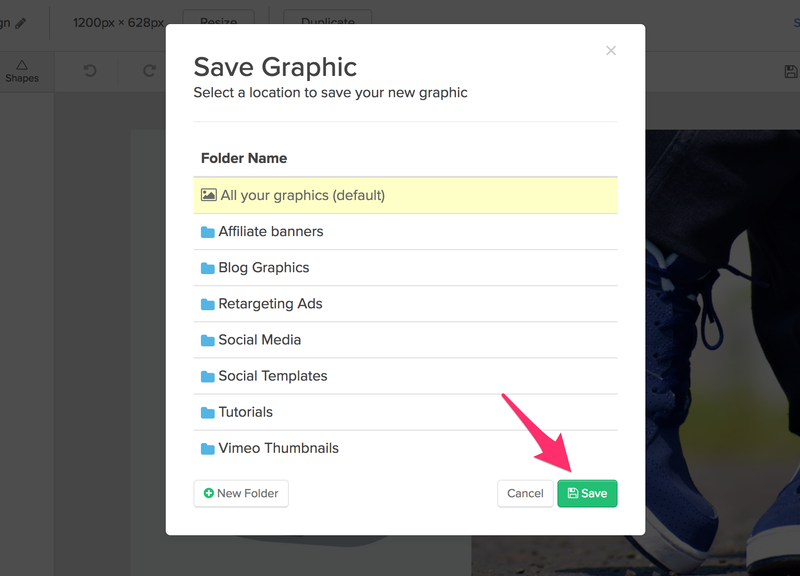 If it's the first time saving your graphic, choose the folder you want to save the graphic in then click save. If you don't specify a folder, it will save to your default "All your graphics" folder. Note that any subsequent saves to your design will override existing changes, it will not create a new version of the design. If you'd like to create multiple versions of the same design, you'll need to duplicate the graphic first and then save the duplicated version.